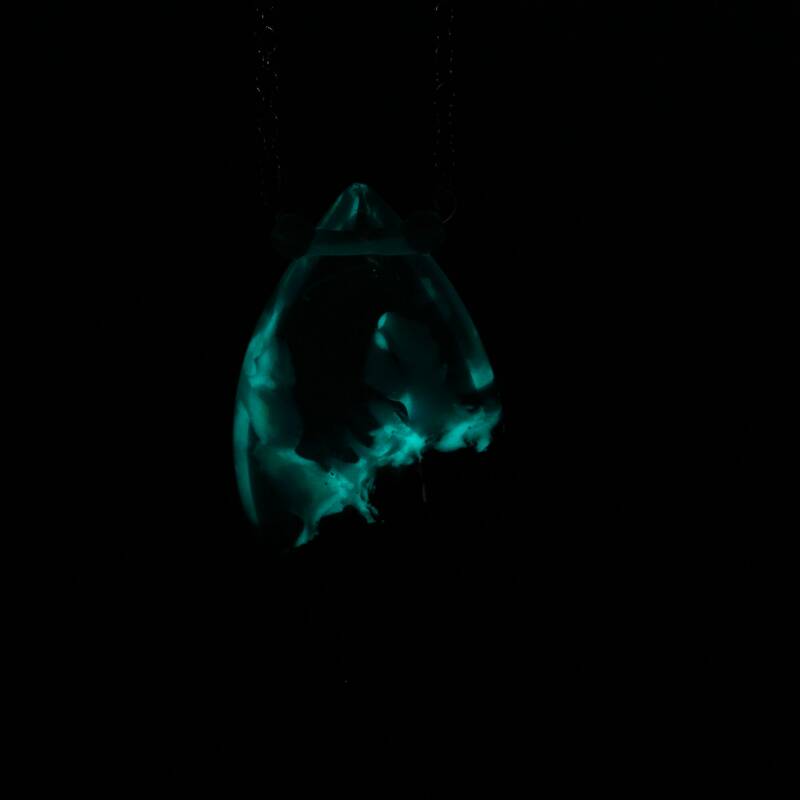 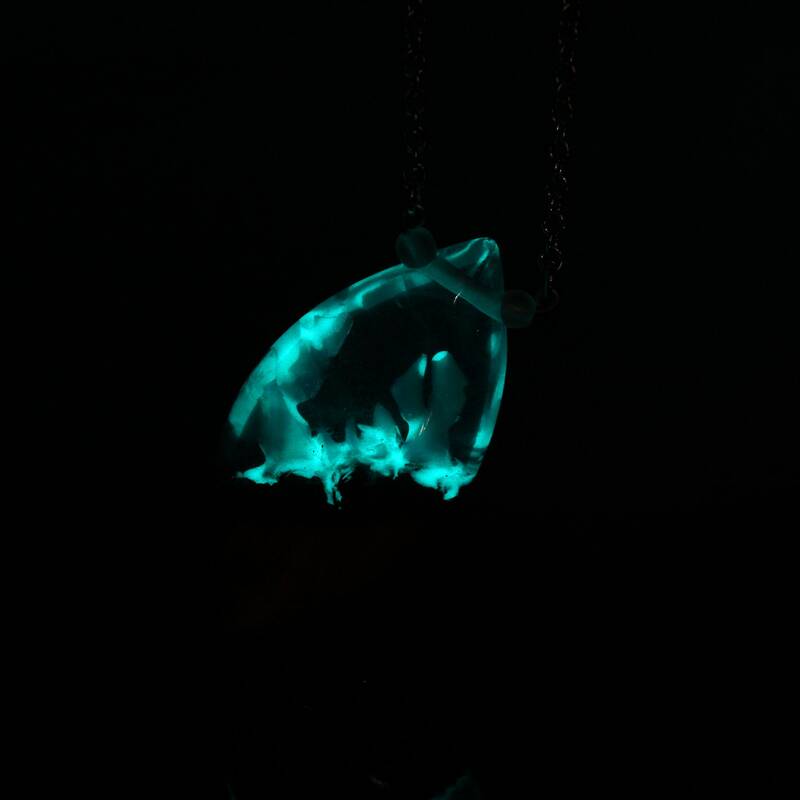 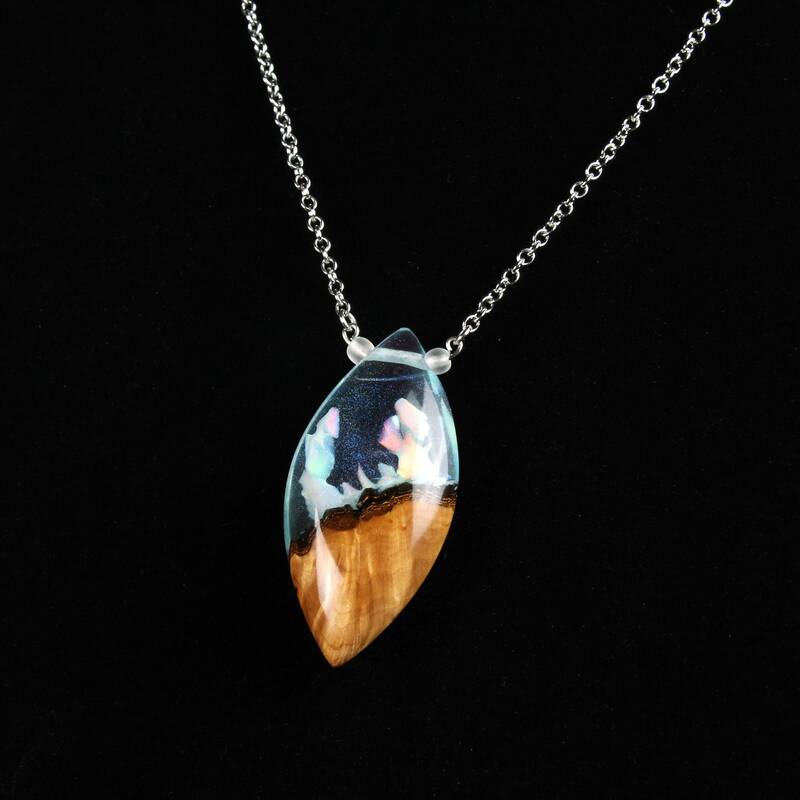 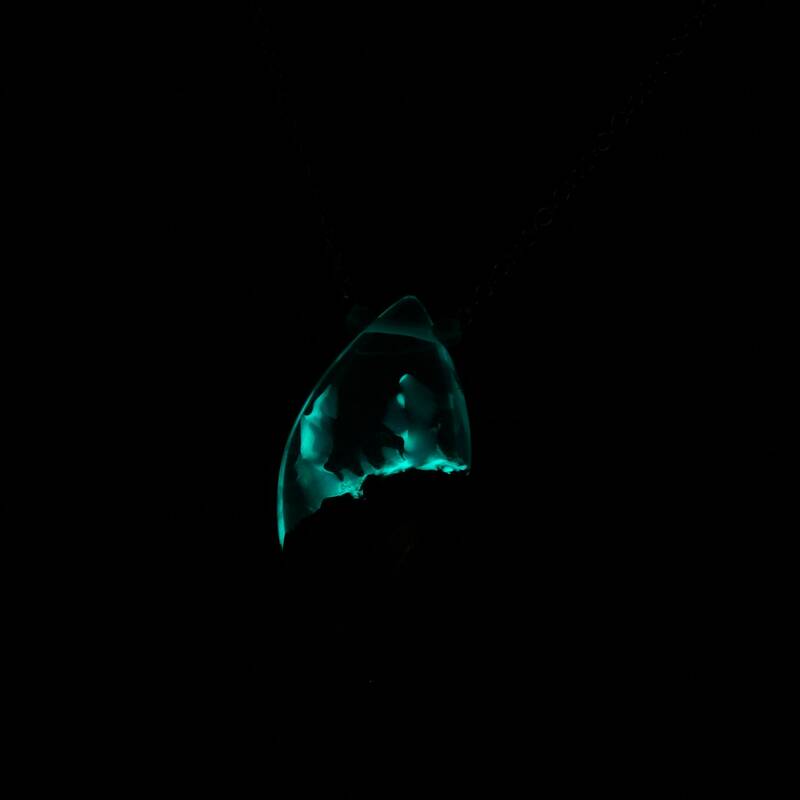 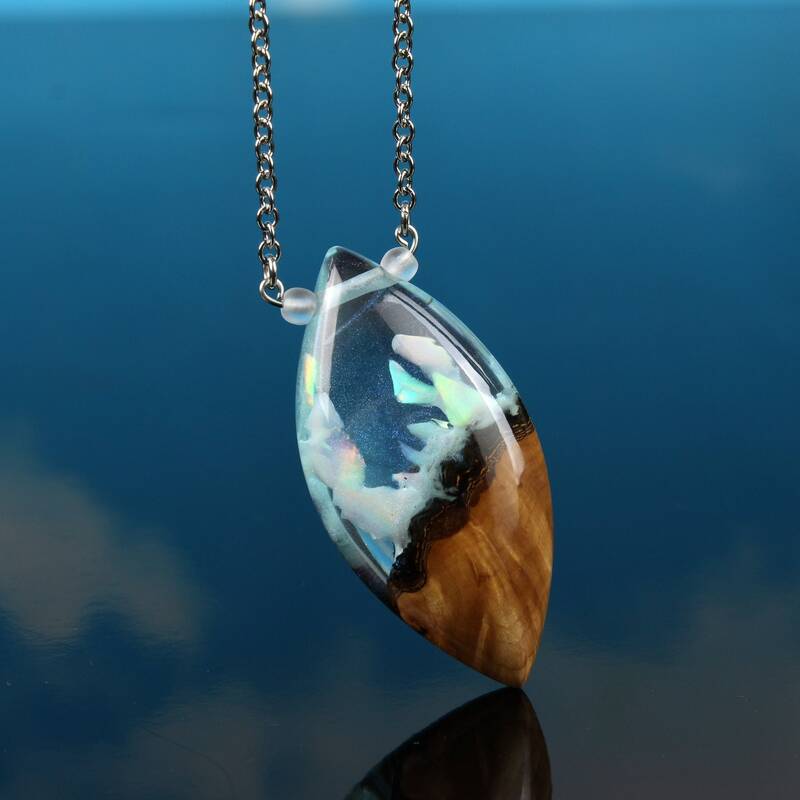 Glowing White Opal resin wood pendant. 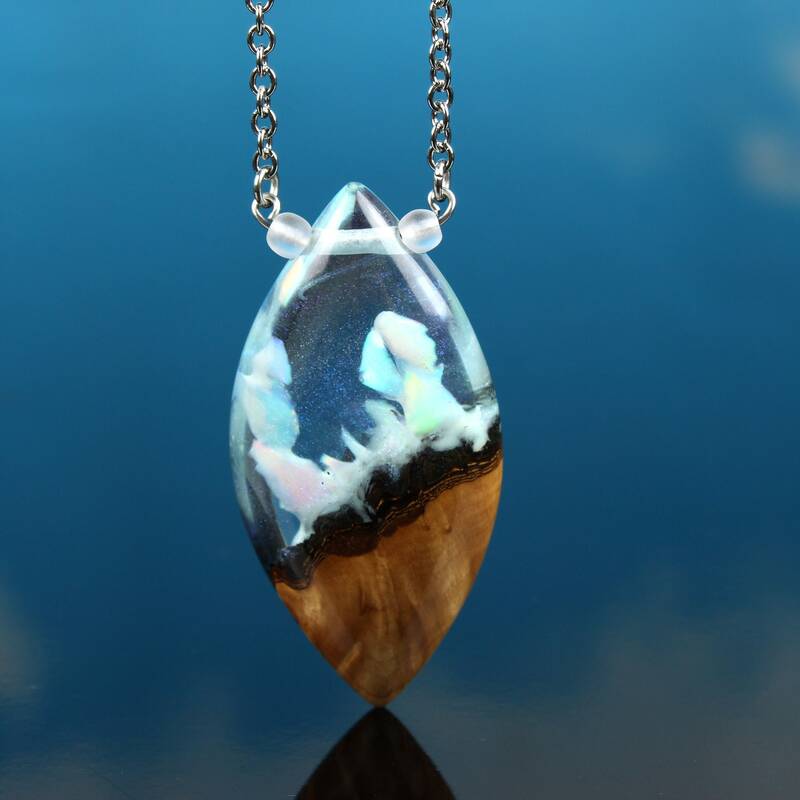 Made with hawthorn wood and blue tinted resin, and glowing white aurora opal. 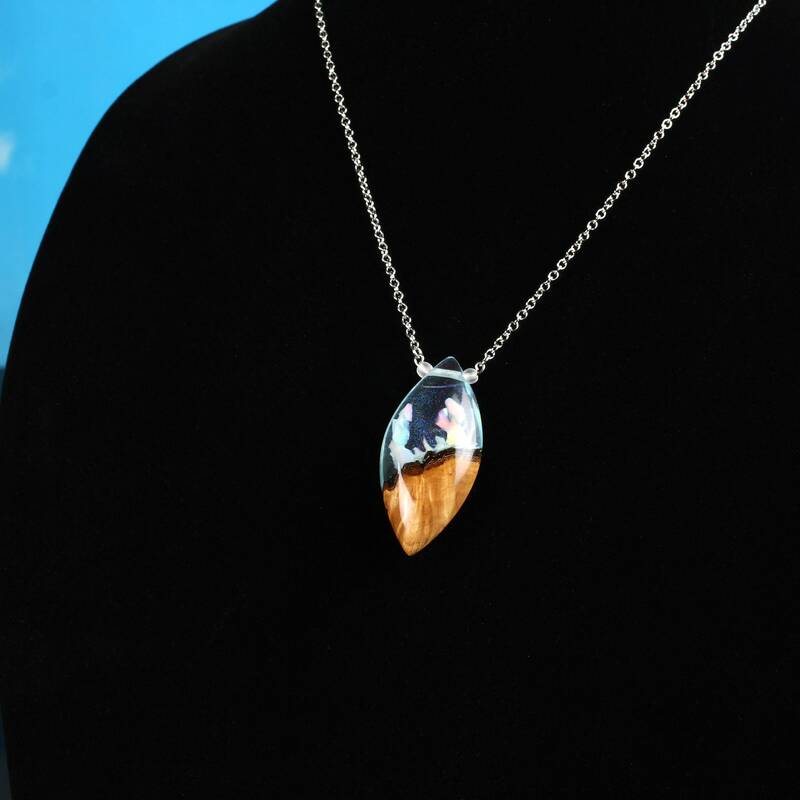 This pendant was handmade here at Cut Branch on the Eastern shore of Bronx New York. 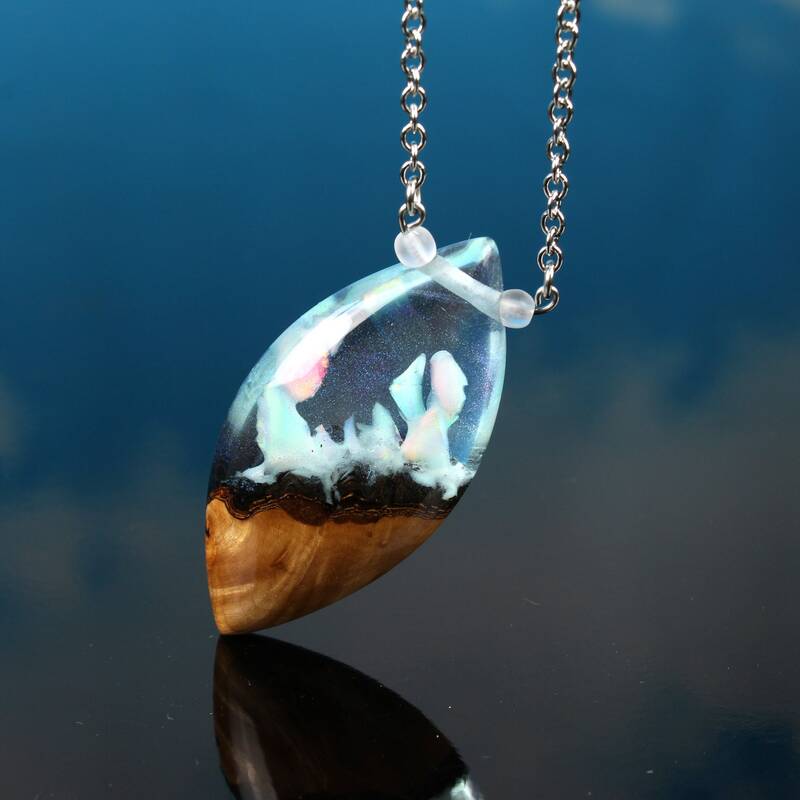 This magical space inspired necklace is a fusion of reclaimed hawthorn wood and iridescent blue resin. 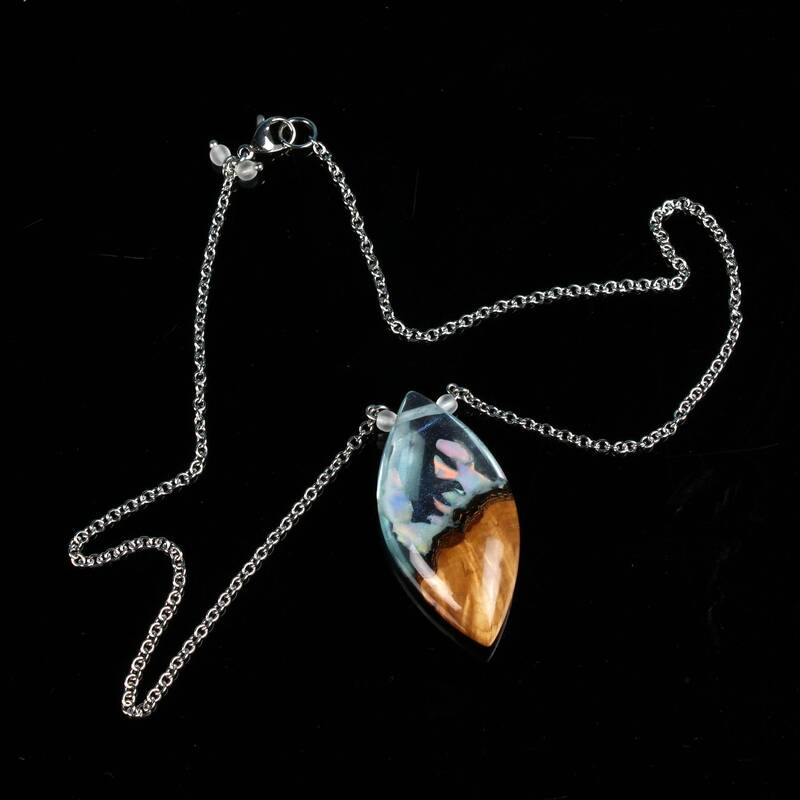 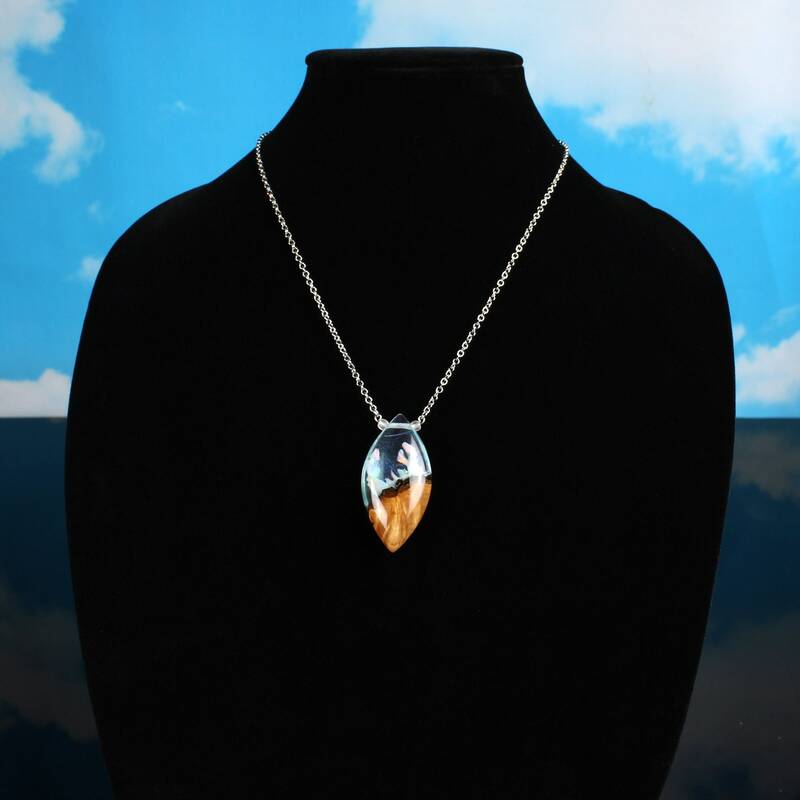 A gorgeous and unique piece of jewelry, this necklace would make a perfect one of a kind special anniversary present.